AMC Theatres was never a fan of MoviePass and even predicted its unsustainability. After the struggling MoviePass turned off diehard fans with too many new restrictions to combat its cash problems, AMC stepped in to save the day with its AMC Stubs A-List subscription for cheaper movie tickets. 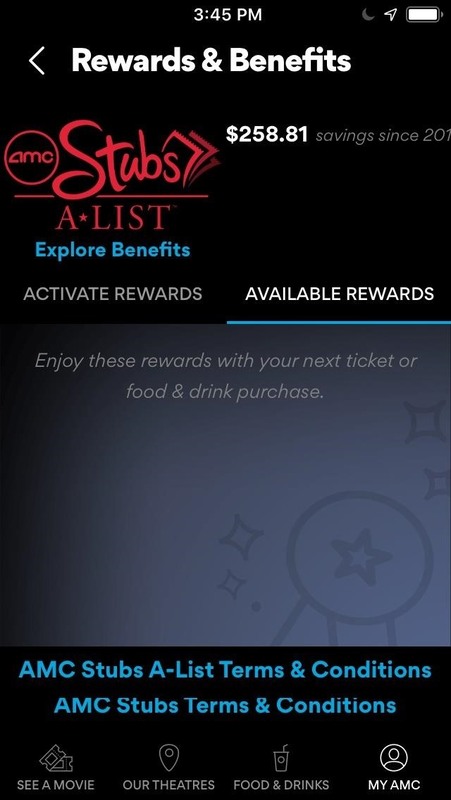 Stubs A-List is a direct attack on MoviePass from the largest theater chain in the nation, and it's arguably one of the best movie ticket subscriptions available. 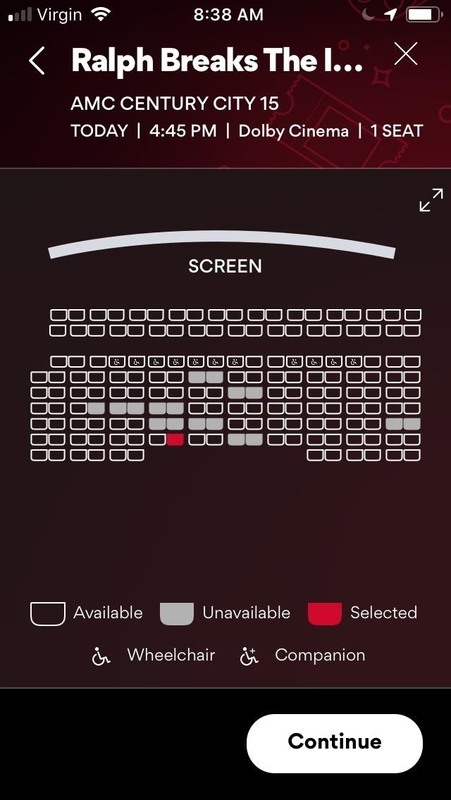 Unlike MoviePass which loses money every day, Stubs A-List is actually profitable for AMC since they are filling in seats that would otherwise be empty in its theaters — and they don't have to pay anyone for the tickets since it's AMC's theaters only. 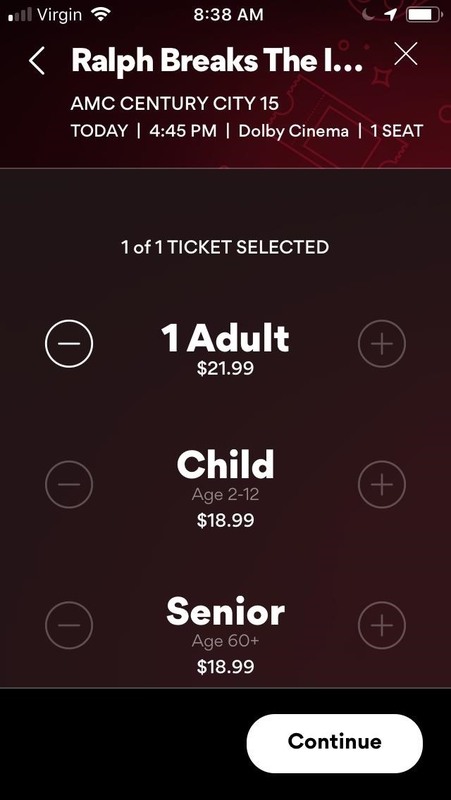 Coming in at $19.95 plus tax, Stubs A-List isn't the cheapest subscription, but it comes with access to up to three movies a week — far more than MoviePass' three a month. And you can start using the service right after signing up. 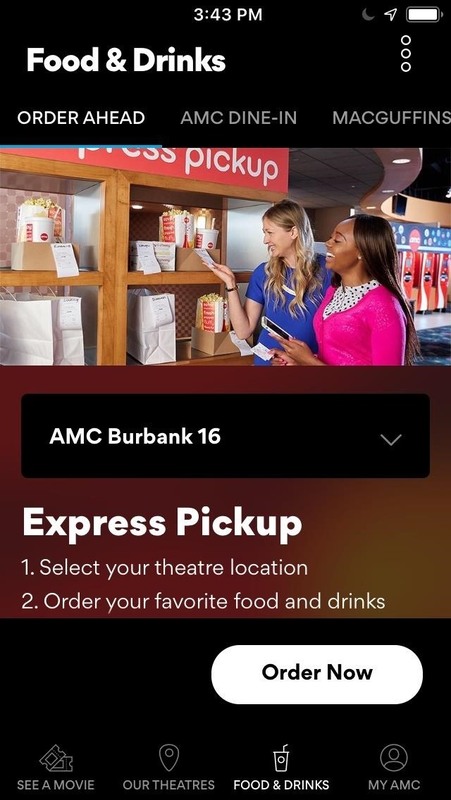 Access to the service is most convenient from the AMC Theatres app for Android and iPhone. Before going any further, AMC is extremely transparent in its plans for A-List. It has already announced that while 35 states will still be getting the $19.95 price, once Jan. 9, 2019, comes along, ten states will see the price go up to $21.95 while the remaining five will rise to $23.95. Anyone who joins before Dec. 31, 2018, will be locked into the $19.95 price for one year. 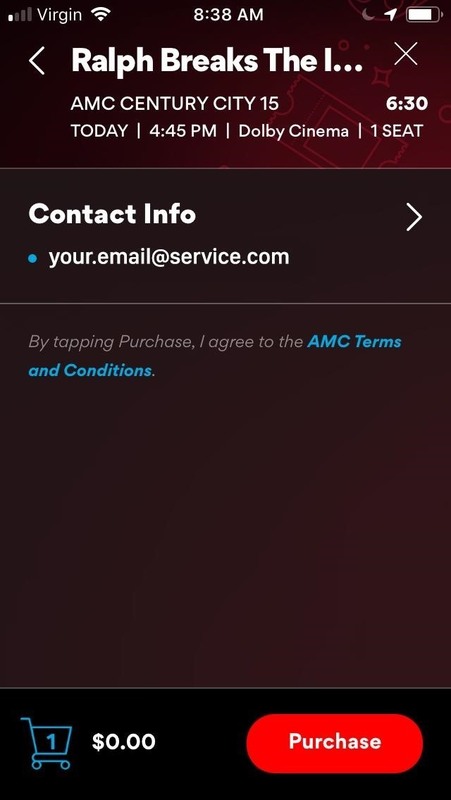 AMC lets you choose exactly when to see what movie, and while your unwatched movies won't carry over to following weeks or months, you'll never pay a convenience fee for ordering tickets online or in person. 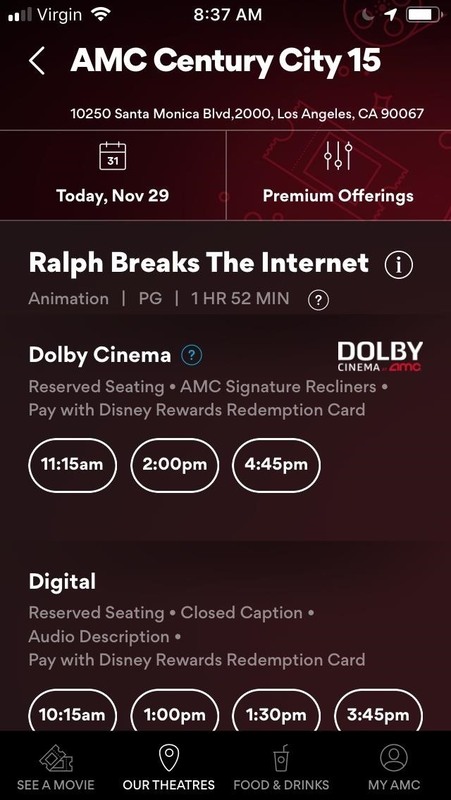 There is also no AMC-based debit card to deal with like with MoviePass and Sinemia, so you just need to log in online or scan your membership ID at the box office. Oh, and did I say you could see any movie? 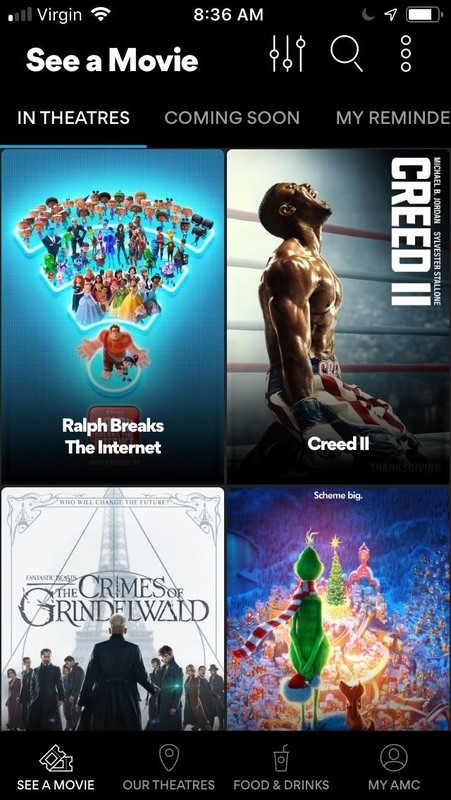 Dolby Cinema, 2D, IMAX, PRIME, RealD, 3D, BigD, D-Box, and brand new releases are all fair game. Any film showing in an AMC Theatres location can be watched except for IMAX VR and special events, but those don't even happen very often. You can even see the same movie over and over again if that's your thing. Even better, you can use your three-each-week credit all in one day for the ultimate movie marathon, but there does need to be two hours between each film. There's no initiation fee, which makes the other perks that much sweeter. You get free popcorn and fountain drink size upgrades, as well as access to priority lanes for concessions and the box office. Aside from that, you also get back $5 for every 5,000 points earned, redeemable on food and drink only. Points are earned via the monthly charge, concessions, and on additional tickets ($1 spent equals 100 points). 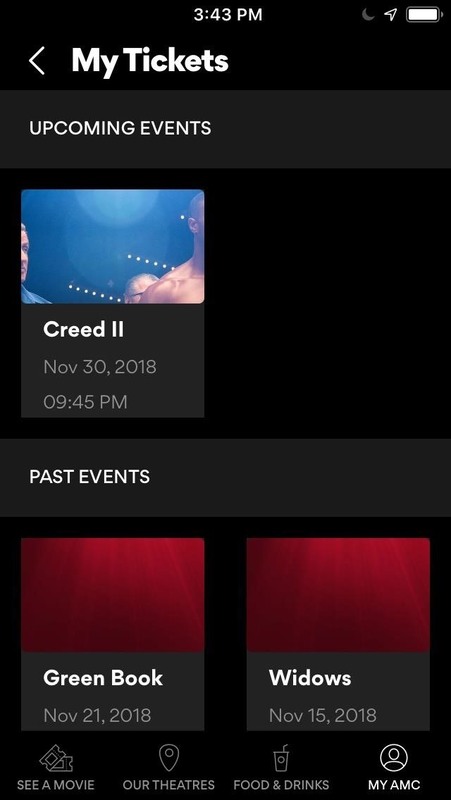 Unlike MoviePass and Sinemia, there are no check-ins required, and you can reserve up to three movies in advance at any given time. 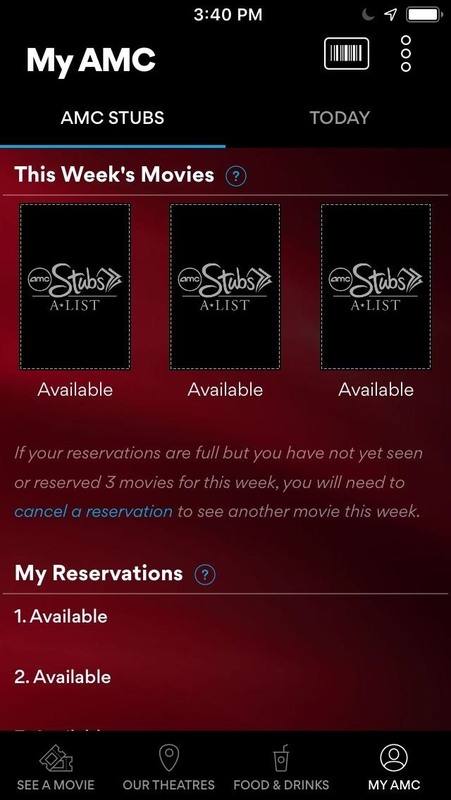 Reservations are easily viewable in the app, as well as how many movies you have left in each week and the entire history of movies watched. While there are no referral programs, family plans, discounts on additional tickets passed your allotted amount, or discounts for friends (though you can pay for friends at full price), you can cancel reservations for any movie and AMC has wonderful support. The minimum age to sign up is 16, and while you can't reserve specific seats in all AMC theaters right now, by June 2019 seats will be able to be picked at all AMC locations except AMC Classic theaters. 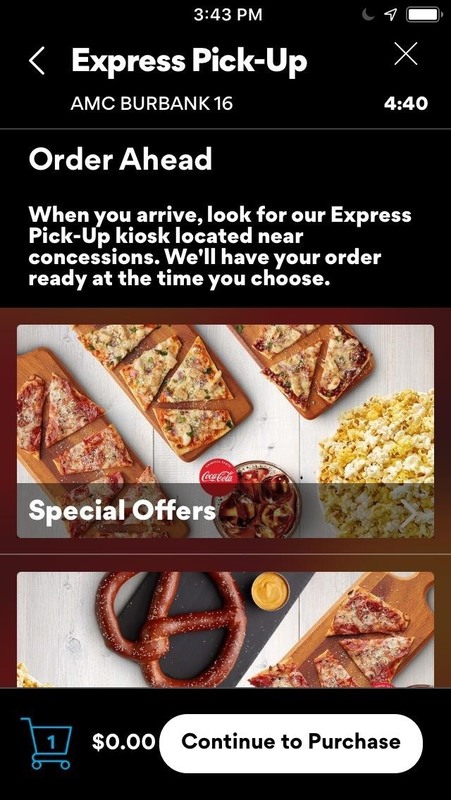 Also by June, in select metropolitan areas, you'll be able to order food and beverages in the app, which is in addition to the 52 AMC Theatre locations that already offer it (this service is available to all AMC loyalty members, not just A-List). You'll probably find one of AMC's 659 theaters somewhere near you. Still, it's possible you don't live close enough to an AMC, in which case this service just wouldn't be for you. That's where MoviePass and Sinemia shine since they can be used at any theater. If AMC A-List does work for you, it's a tough deal to pass up. If you do join and end up not liking it, it's easy to cancel, but you won't be able to sign up for it again for six months. However, if you were an AMC Stubs Insider or AMC Stubs Premiere member, you will still retain those memberships. If you weren't either, you'd be downgraded to an AMC Stubs Premiere member.